While most of us already know the book promotion basics, there are also a number of other avenues you can use to broaden your book promotion reach and make your promotional efforts more effective. Since the article is a bit long, I'm breaking the list of 20 strategies you can use to promote to a wider range of potential customers into 2 parts - here's Part 1. 1. Make use of your website’s opt-in box. Provide a weekly or monthly newsletter that offers information your reader/subscriber will value. Along with the information, you can offer your books for sale. Building your subscriber list is a key marketing strategy. 2. Use article marketing and social networks to broaden your reach, and be sure to provide links that go directly to a designated landing page for the sale of your book/s. 3. Book virtual book tours or create your own. Try to get guest spots on sites that are geared toward your target market. 4. Create trailers for your books and post them on sites such as YouTube. You can try your hand at creating a trailer for free at http://OneTrueMedia.com. If attempting this seems a little overwhelming, you can hire someone to do it for you. 5. Create postcards, business cards, and flyers with your book information and cover. Include the link to your book’s site or your author site. 6. Contact your local newspapers and request they do an interview or feature on you as a local author. 7. Request book reviews from reputable reviewers and ask them to post the reviews on your Amazon and B&N selling page, Goodreads, Shelfari, and other sites that can help promote your book. Post them on your own site/s as well. 8. Enter contests. Winning a contest, or getting second place or mentionable awards is a great way to increase interest in your book/s. Be sure to enter reputable contests. 9. Put out a request in your groups to be a guest on blog talk radio shows that feature authors. While it’s good to find those that feature authors in your genre, it’s also a good idea to broaden your reach and shoot for shows that are diversified. 10. If you’ve established yourself as an expert in your field, you can give teleseminars or webinars. This is a proven strategy for increasing your subscriber list, thereby increasing your selling reach. 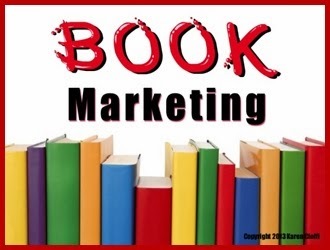 NEED HELP MOVING FORWARD WITH YOUR BOOK MARKETING? Today's guest post is by Dana Lynn Smith, the Savvy Book Marketer. With more than 3 million members, Goodreads is the largest social network for readers. The site is a terrific way for authors (especially fiction authors) to interact with their target audiences through the Goodreads Author Program. Like other social networks, members join and set up a profile. But the emphasis of this site is on discussing books and sharing book recommendations with others. Members can create a catalog of the books they have read, are currently reading, and plan to read in the future; post reviews; create lists of books; start a book club; join a discussion group; or even contact an author. To sign up for this free reader network, just enter your name, email, and a password on this page. I recommend setting up your own profile and book catalog and becoming familiar with the site before you get started with the author program. • Post a picture and bio. • Share your list of favorite books and recent reads with your fans. • Start a blog or import a feed of your existing blog. • Publicize upcoming events, such as book signings and speaking engagements. • Share book excerpts and other writing. • Write a quiz about your book or a related topic. • Add the Goodreads Author widget to your personal website or blog to show off reviews of your books. • Advertise your book to the Goodreads Community. The key to getting good results on Goodreads is to join in the conversation on the site and share with others. One of the best ways to make friends on Goodreads is to be active in groups related to your genre or topic and to send friend requests to selected folks in those groups. But don't overdo it – as with all social networks it's important to observe proper etiquette. Read the guidelines for authors and be careful not to engage in activities that are considered spamming, such as contacting or friending everyone who has read your book or similar books. Many authors find reader communities such as Goodreads to be more beneficial than general networking sites like Facebook. I recommend starting with Goodreads because it's the largest, but there are a number of similar sites and some are geared to specific types of books, such as children's books. Dana Lynn Smith is a book marketing coach and author of the Savvy Book Marketer Guides. For more tips, follow @BookMarketer on Twitter, visit Dana's blog at www.TheSavvyBookMarketer.com, and get a copy of the Top Book Marketing Tips ebook when you sign up for her free newsletter. It's a 4-week in-depth and interactive e-class through WOW! Women on Writing and covers all the tools you’ll need to build your author/writer visibility, website traffic, and boost sales. CLICK THE LINK BELOW to check out all it includes! Today, I have an article by Dan Pynter, author of The Self-Publishing Manual. 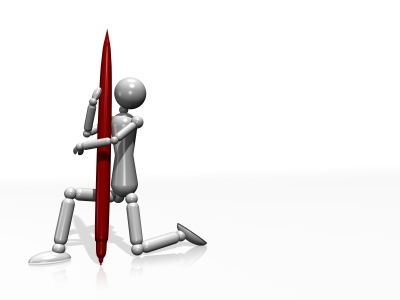 Proofreading is an essential aspect of writing and something that is very difficult to do on your own work. Do not try to proof your own work. You are too close to the manuscript and will miss some typographical errors. You need a professional with fresh eyes to proof your work. Your computer’s spelling and grammar checkers are good for a first pass, but never rely on them exclusively. In fact, these computer marvels often teach us more about the language but they are not perfect. So use them for a first pass. Jan Nathan, Executive Director of the Publishers Marketing Association, tells of an author/publisher who had his book professionally designed but decided to cut corners on proofreading. He relied on his computer’s spellchecker. After printing 5,000 copies, a colleague pointed out some misspelled words, both on the cover and inside. For example, the spellchecker did not catch the misspelling of “Foreword”. All 5,000 covers announced the “Forward” by a very prominent person. By the way, this is a very common spelling mistake in books. "When you publish a book, it's the world's book. The world edits it." —Philip Roth, New York Times Book Review. Make sure your proofreader uses standard proofreading marks so the corrections will be clear to all. For a chart of proofreader’s marks, see your dictionary under (where else?) "proofreader's marks." illustration. Upon landing, he called Itoko Maeno, the illustrator, back at Advocacy Press in Santa Barbara. She suggested copying a bee from a previous page. Bill had the printer make the addition and that change saved the day. There is more to proofing than just punctuation and spelling. And, it is never too late to proofread—again. Do not skimp on proofreading. It is far more expensive to take ink off paper than to put it on. Make the book right. The more eyes the better. Marketing in an oversaturated market is a difficult journey. Whether you’re promoting a book, services, or other product, you will have tons of competition. And, if you don’t have a website, you won’t be able to get in the marketing game. No matter what product or service you’re offering, having a website is an absolutely must. While it’s not that difficult to create a website or blogsite using services, such as Wordpress (http://wordpress.com) or Blogger (http://blogger.com), there are essential steps you will need to take in order to create an EFFECTIVE site. Create a site with your name as the domain name. Even if you already have one or more sites with different names, take the time to create one with your name. This can be your central site that leads to your other specific platforms. Think of it as the Sun to your other orbiting web planets. If you have multiple sites, include them on your Media Page and on your About You page. When including a site subheading, think of your platform. In your subheading add keywords you want associated with your site. These are words that should quickly inform the search engines and visitors what your site is about. 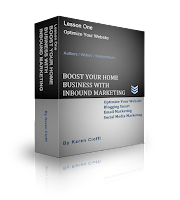 Provide a readily visible opt-in box. This is one of the only ways you will be able to create a mailing list. A useful way to entice visitors to sign up for your info emails or newsletter is to offer a free gift. Usually an e-book, podcast, or video related to your site’s focus is a practical gift. The opt-in box should be placed in the top portion of your sidebar, and must be immediately visible upon landing on the page – this means it needs to be above the fold line. Click on the link for PART 2 of Websites That Work - 7 Key Factors. Writers speculate a lot about what editors really do. Some firmly believe that editors are the final barricade between writers' excellent manuscripts and publication. Others seem to believe that the job of an editor is to clean up after writers and tell them what to do next. To a certain extent, the latter is true. When a manuscript comes along that is so magnificent that no amount of typos can detract from its impact, many editors will clean it up, and gladly. Usually, though, they must weigh whether such "clean up" time will be justified by the final product. More often than not, the answer is no. You can avoid this answer, however. If you follow these four easy steps, your editor will be able to judge your work using the criteria that really count: Its content and style. Better yet, you'll never have to wonder again about what an editor does, because you'll be doing it yourself! Step 1: Get to the Point. The first thing an editor wants to learn from your manuscript is its purpose. What is the story you are going to tell, and why? Why is it important? Don't shroud your purpose in three or four cleverly written but pointless opening paragraphs. "When I got out of college with a few courses of animal science under my belt, I had little idea how bleak the job outlook would be. I wandered from clinic to clinic, but no work was to be had. Then my old buddy Joe, who owned a sheep ranch out on South Fork Road, offered me a job as a stablehand..."
This sort of opener may ramble on just like buddy Joe's ranch before the author finally gets to the point: "And that's where I met Old Sam." All of this information may be important, but it isn't the point of your story. Old Sam is. If, on the other hand, your opening sentence is "Old Sam was the most unforgettable dog I ever met," your editor might not think you have the world's best knack for opening lines, but he will know what you plan to talk about up front, and be more inclined to read on. If that background information is really necessary, find another way to work it in. Part of getting to the point is explaining to the editor, and the reader, why he or she should spend time reading what you have to say. Why are you writing this particular article? Why are you writing it now? The answer may lie in your credentials, your personal experience, or simply in your ability to express important ideas to the editor's readers. Let's say that you want to write an article about a new virus in cats. Why should the reader hear about this from you? The answer could be that you're a veterinarian who has handled several cases of the virus and can enlighten cat owners about it; or you might be a cat owner who learned about this disease, and you want to share the information you've gathered. Or, as a writer with a "nose" for a good story, you might choose to interview both veterinarians and cat owners about the disease and its effects, providing an article that combines human appeal with expert information. The approach you choose will depend upon your market and your audience, but you should make two things clear from the beginning: Why this topic is important, and why the editor should accept you as the best person to write about it. Then let your story tell itself. While I was editor of a pet magazine, one of my associates told me of a trick she had learned to help her organize her thoughts while writing: "Think in subheads." Just about every magazine or newspaper story of any length is broken into smaller chunks, each set off with a subhead. Those subheads make the page look better visually, and lead the reader through an organized series of ideas. If you look at your article carefully, you'll probably find that it breaks down into three or four major component ideas. Thinking of subheads for these ideas gives you a chance to organize your thoughts into the appropriate categories, almost like creating an outline for the article after it has been written. You may find during this process that you need to flesh out one of your ideas in greater detail, cut back on another, or add yet a third. Your subheads don't have to be cute or catchy; their primary purpose is to help you organize your material (and to demonstrate that organization to the editor). Step 3: Get rid of the clutter. When you break your article into subheads, you may find that you have some ideas that don't belong under any of the categories you've roughed out. This may mean one of two things: You need another subhead, or you don't need that material at all. The information might serve as a basis for another manuscript, but will only clutter this one. It can be painful to look at a stack of notes and realize that, even though it took you hours to get that information, you can't use it all in your article. But part of your job is precisely that: Deciding what is most important about the information you've amassed, and presenting that--and only that--to your readers. If you leave it to an editor to pluck the gems from the clutter, he may simply pluck a rejection slip from the drawer instead. So read through your work again. Once you've organized it, you'll find it easier to spot ideas that are only tangential to the main subject, or identify background material that is interesting but doesn't contribute a great deal to the basic idea. Try pulling some of this material out of the main text and presenting it as a sidebar. Suppose, for example, that you are writing about cancer treatments at a particular clinic, and you've found some interesting information about another clinic or another method that seems promising. If that information doesn't belong in the main body of your piece, write it up as a complementary sidebar. If the editor likes your sidebar and has room for it, you may even get paid extra for it. But if not, you won't have jeopardized the success of your main article by cluttering it with extra information. Step 4: Keep it "clean." Whenever an editor receives an all-but-illegible manuscript, filled with typos, the first reaction is that the writer doesn't care enough about the magazine or its audience to present the best article he can. The editor will be prejudiced against such an article from the beginning, and the writer will have to work twice as hard to prove that the content of the article outweighs the sloppy presentation. Unfair? Maybe. But if a writer doesn't check for the typos and grammatical errors--the easy stuff--an editor is bound to wonder whether that writer was any more careful where it counts. When a manuscript is littered with misspellings, what assurance does the editor have that the writer has checked facts, verified every phone number, and doubled-checked figures and the spellings of names? Editors also get irritated by the idiosyncracies of computer printouts. While computers have come a long way, remember that if you are asked to submit an electronic copy of your article (particularly in text format), your editor may have to deal with weird characters that creep in where you've specified formatting commands (such as underlining or italics). Editors also don't care to deal with the weird spacing that results when you justify the right margin. Leave that sort of formatting to the magazine; when submitting your manuscript, do as little formatting as possible. Be careful, also, of errors that creep in when you make corrections or changes. It's easy to miss duplicate sentences, or half-sentences, or bizarre formatting problems that result from careless corrections. Don't just hope the editor can figure out what you meant to do; do it right the first time. Finally, editors like to know that you know they exist, and that you know what is going on with their publications. When an editor receives a manuscript addressed to his predecessor's predecessor (it's happened to me! ), he can't help but wonder how recently the author has examined a copy of the magazine. So take another look at that manuscript you're about to put in the mail. Did you read it through with an editor's eyes--the eyes of someone who has never seen it before and doesn't know in advance what you're trying to say? Is your print clean and dark? Is there enough postage on both envelopes? If you've answered "yes" to all of these questions, congratulations! You've begun to think like an editor--and removed another barrier between you and success. This article originally appeared in The Writer. You’ve been slaving for months, maybe years, on your manuscript. You’ve read about belonging to a critique group to help you hone your work and took the advice to heart. You have also listened to the advice about submitting your manuscript to an editor after your critique group is done with it, and after you’ve meticulously self-edited it. Now, you’re ready to begin submissions. Professionalism, professionalism, professionalism. Yes, be professional. As with any business correspondence, do not use colored stationary, colored text, elaborate font, scented paper or envelope, or any other unprofessional features. You get one shot at making a first impression; don’t blow it on silly additions. And, don’t try to be cute or send a gift. Again, be professional. So, you understand you need to appear professional, but you also need to send your query to the right recipients. You can have the most professional looking query letter, but if you send a query to a romance publisher and you have written a children’s picture book, guess what? You’ll be out of luck. Research for publishers and agents who work within the genre you write. There are services, such as WritersMarket (http://www.writersmarket.com) that provide information on where and how to sell your articles or manuscripts. While these services may charge for the service, it is a worthwhile investment. There are also books that offer the same information, such as Writer’s Market, and Children’s Writers and Illustrator’s Market. If you choose this option, you will need to get the new versions each year. Agents and publishers are changing staff all the time, new companies are popping up and others are closing down, you will need up-to-date information for your query submissions. In the February 2011 issue of the Writer, agent Betsy Lerner explained, “Editors and agents alike enjoy nothing more than being startled awake by a witty or moving letter.” They want to see something special and unique; this is where your pitch comes in. While you may have taken heed and had your manuscript critiqued and looked at by an editor, you can do the same with your query letter. You want to give the impression that you are intelligent, so your query letter must reflect that. Get it in the best shape possible, with a great hook, and then send it off to be critiqued. Publishers and agents receive more queries than they can comfortably handle, so don’t give them a reason to simply reject yours because of being unprofessional. Give your query and manuscript every possible opportunity for success. NEED HELP WITH YOUR CHILDREN'S WRITING PROJECT?